We can help you get your Projects Solved! The entire Berglund Center will be completely transformed, for one weekend only, into a Home and Garden Extravaganza. 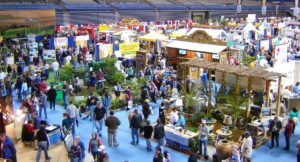 From the front door to the backyard you’ll find it all at the Greater Roanoke Home & Garden Show.